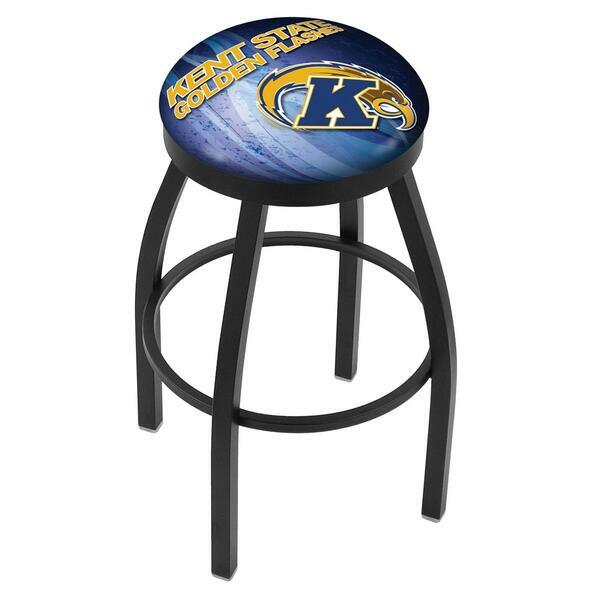 Kent State Spectator Chair - L8B2B by Holland Bar Stool Co.
Kent State Bar Stool by Holland Bar Stool Co. This Extra-Tall, L8B2B logo stool has a single-ring, solid welded, black wrinkle base and a 14" diameter cushion seat with a black accent ring. 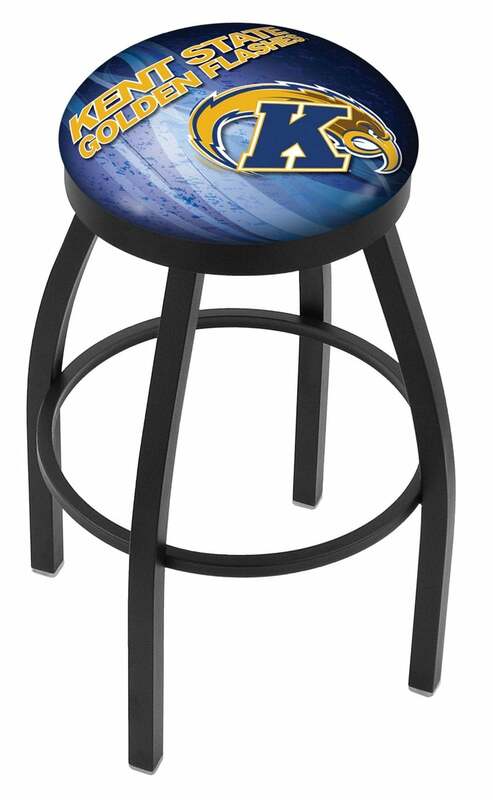 Holland Bar Stool uses a detailed printing process that applies specially formulated UV ink in numerous stages to produce a sharp, crisp, clear image of your desired logo. This isn't a reverse print on cheap, clear plastic that will cloud, crack, and tear. You can't find a higher quality logo stool on the market. The plating grade steel used to build the frame is commercial quality, so it will withstand the abuse of the rowdiest of friends for years to come. The structure is powder-coated to ensure a rich, sleek, long lasting finish. Construction of this framework is built tough, utilizing solid mig welds. The extra-wide footprint adds stability for the taller height. If you're going to finish your bar or game room, do it right- with a Holland Bar Stool.